Choices. We make choices every day. Although each of us may have a different story, we actually have many things in common, which is great news. There was a time when our industry’s comfort zone lived within silos and we didn’t share valuable information, such as the results of the choices we made. 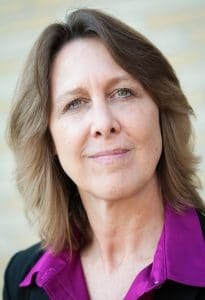 Today, more and more veterinary associations and practice manager and technician/nurse groups are working together to build pathways to navigate the fast-changing veterinary environment. We now have access to many resources, both in print and online platforms, that address the challenges of today and help grow career opportunities, which contributes to raising the bar of our profession. Today’s Veterinary Business, published by the North American Veterinary Community, is a new, powerful resource that contributes to business success by providing content to help you grow your practice leadership, innovation and success. This inaugural issue contains articles that address all areas of veterinary business — from human resources, client service and the corporate/independent environment to in-the-trenches perspectives, financial outlooks and well-being considerations. Each issue will provide educational resources, such as SoundBytes, a unique instructional tool designed to teach practice teams about the key features of select products and services. Printed as a two-sided, perforated tear-out, it includes suggested dialogue that supports consistent messaging from the practice team to clients. Check out SoundBytes in this issue between pages 16 and 17 and pages 32 and 33. When it comes to receiving our content, readers can choose. We will use our website, social media platforms and Sparkcasts — NAVC’s version of the podcast — to share articles, information and educational opportunities. Another tremendous value of Today’s Veterinary Business is our editorial advisory board. One of our first priorities was to invite onto the board veterinary professionals who have expertise in each area of business. We introduce you to our illustrious advisers on Page 4. We will continue to share their vast knowledge and insight in future issues. 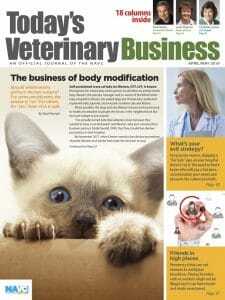 Today’s Veterinary Business will provide diverse, interesting and relevant content in each and every issue. We hope that you will choose us as your reliable, dependable and fun source to help you with your veterinary business. We are committed to doing our part toward raising the bar by providing content that supports leadership, innovation and success. We will always welcome your feedback.